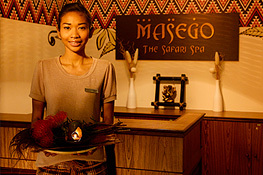 Check out the beautiful pictures taken at Masego Spa! 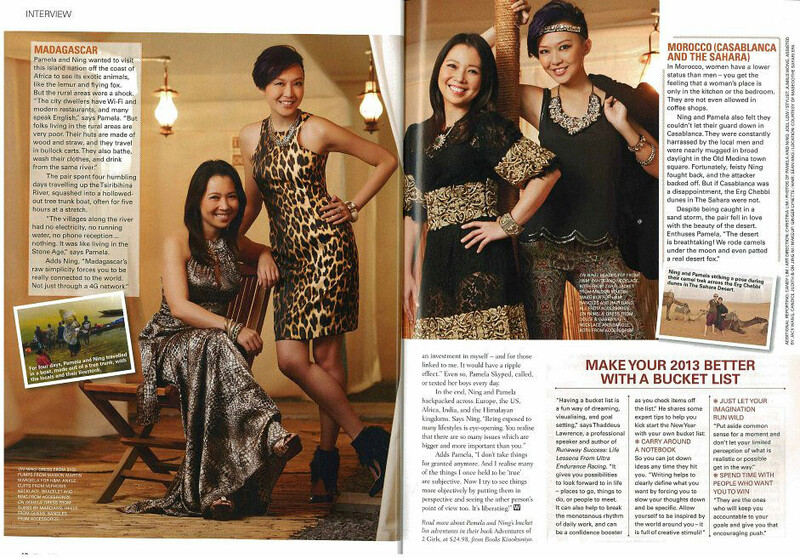 Kudos to The Singapore Women’s Weekly team. 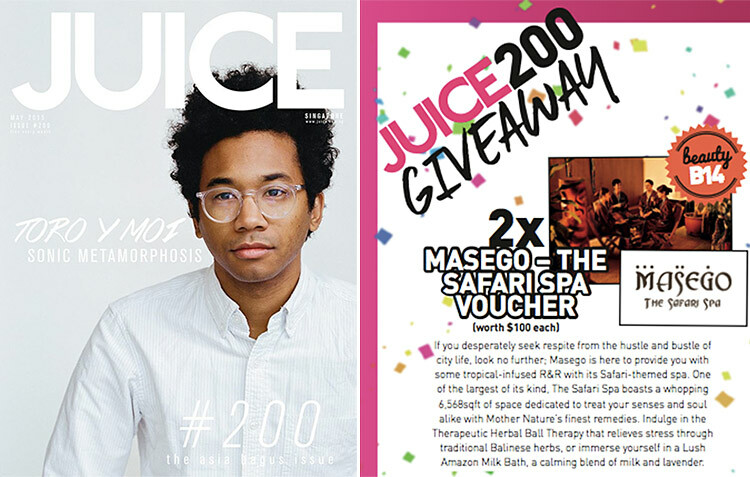 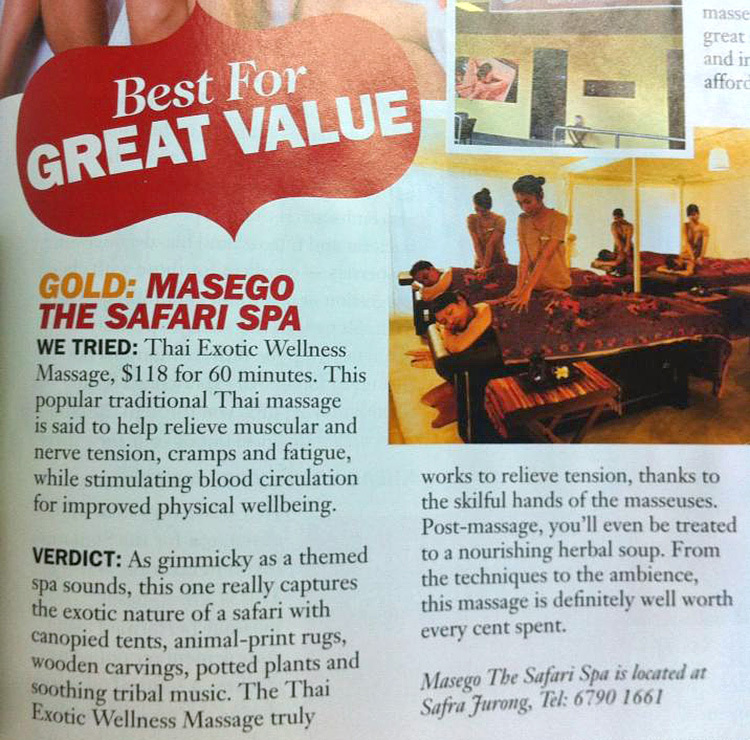 Masego earns GOLD for “BEST for Great Value”! 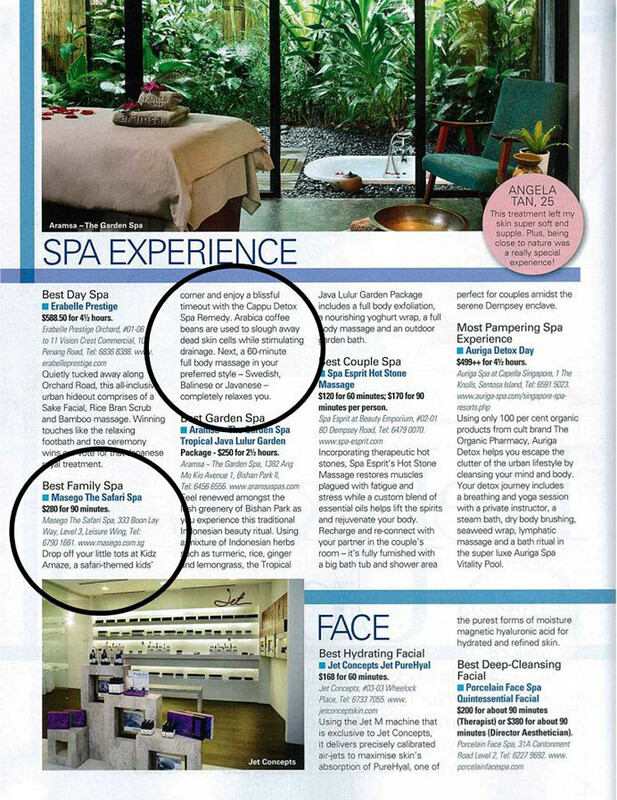 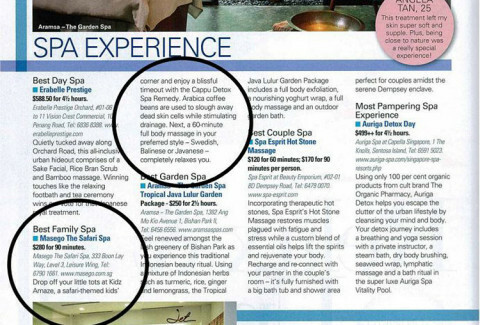 As featured in Cosmopolitan Jan 2013 issue – Dancing with the Spas. 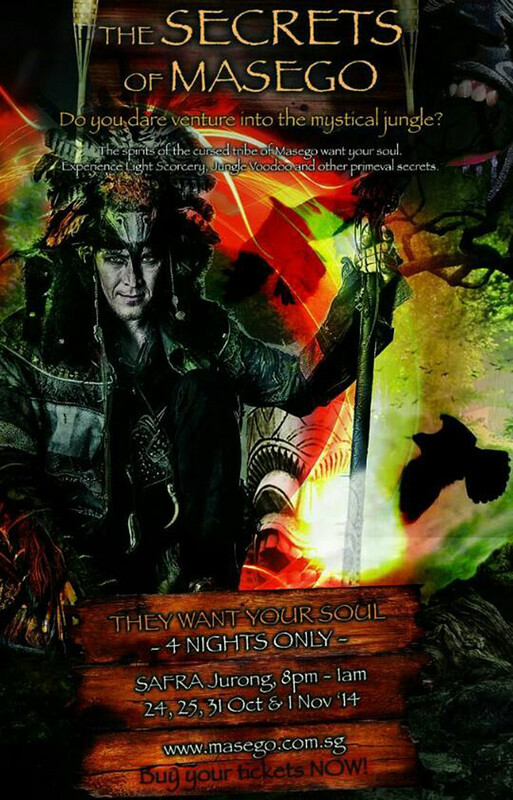 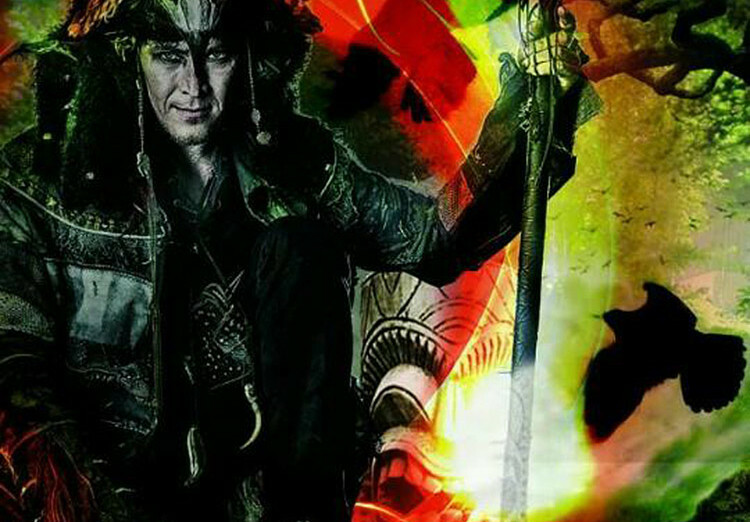 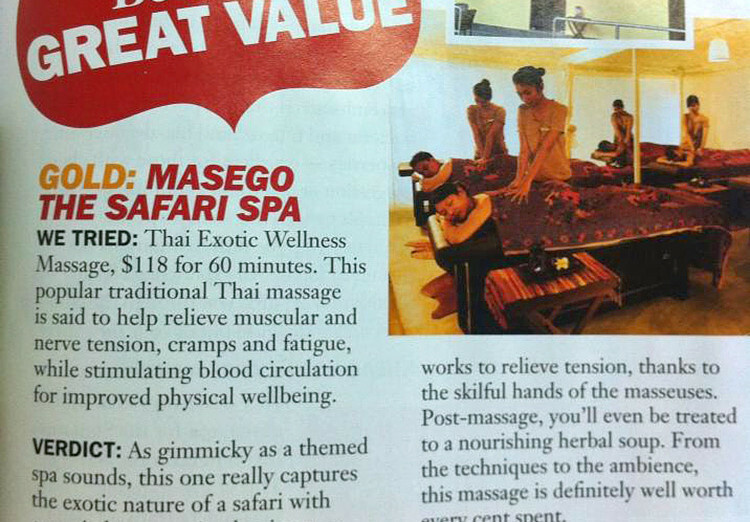 10 Thai Exotica Wellness Massage treatments worth $118 each up for grabs! 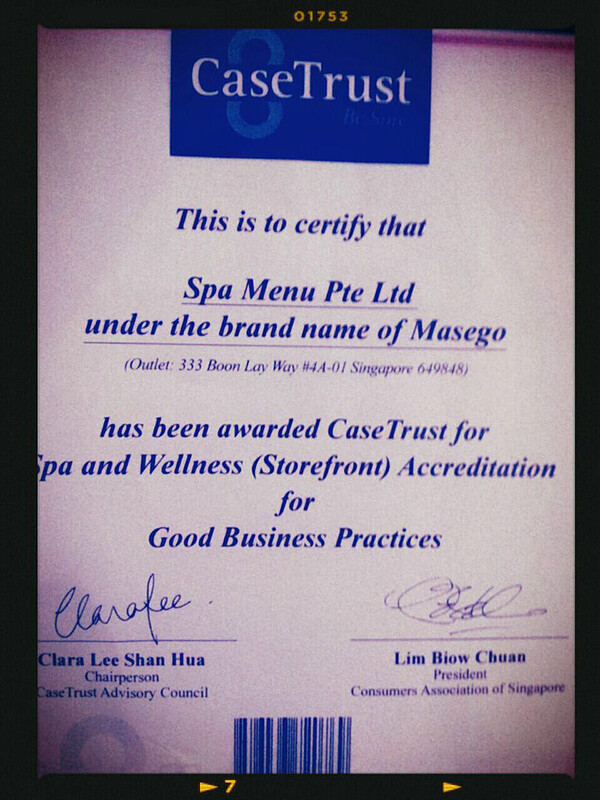 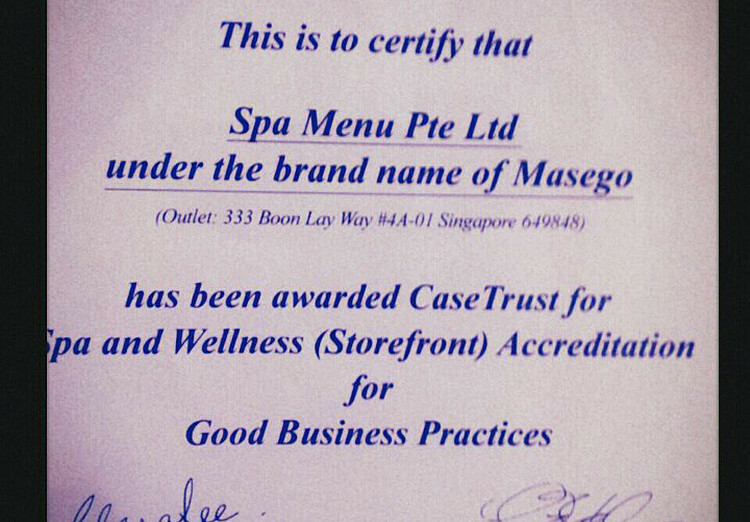 This is to certify that Spa Menu Pte Ltd under the brand name of Masego has been awarded CaseTrust for Spa and Wellness (Storefront) Accreditation for Good Business Practices. 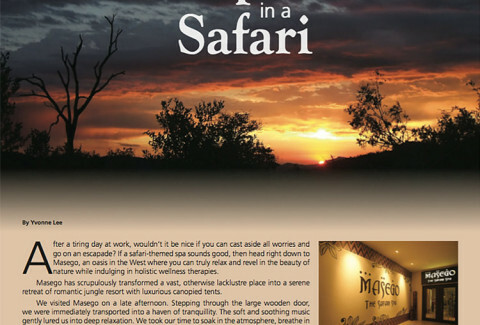 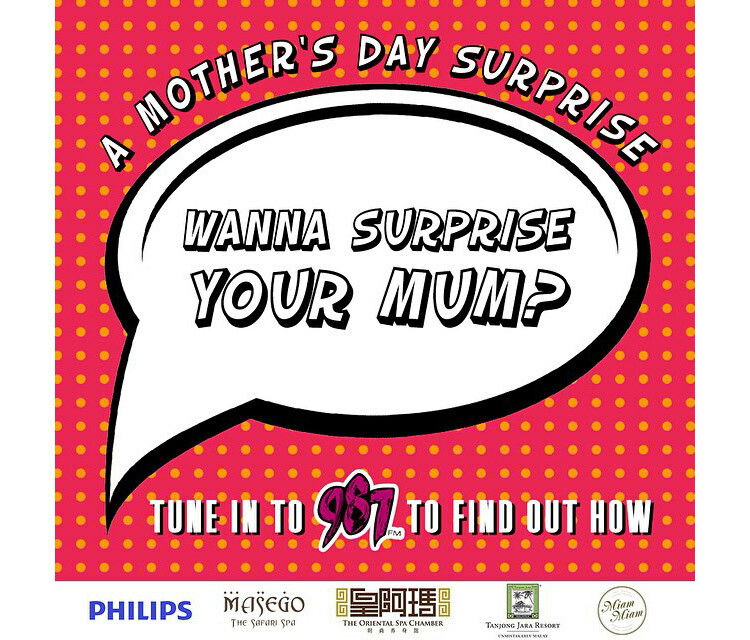 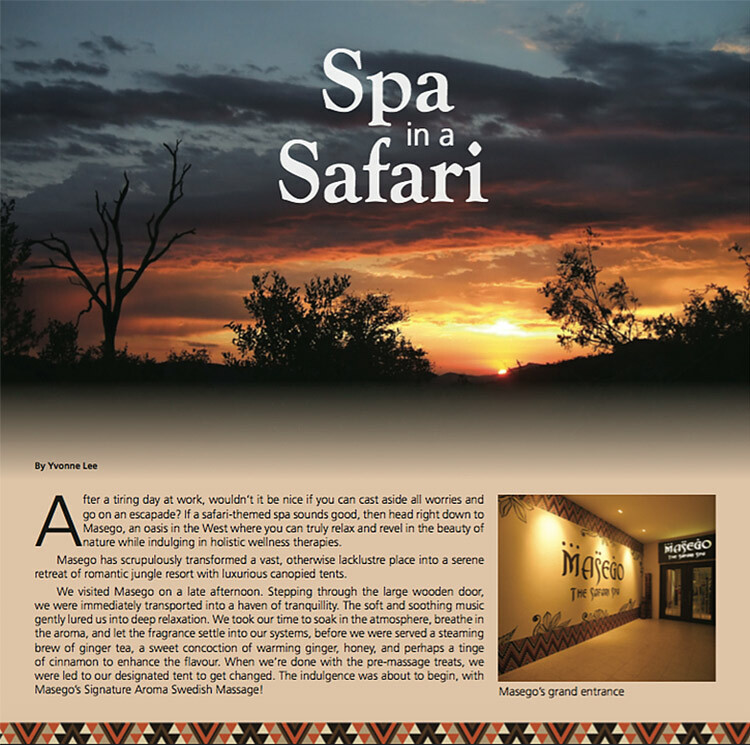 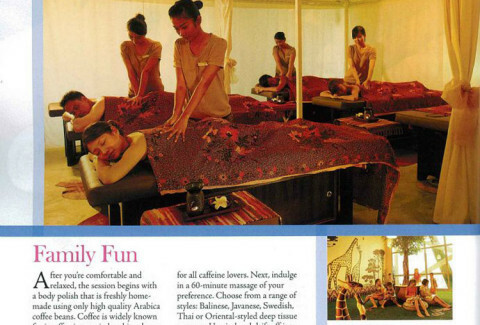 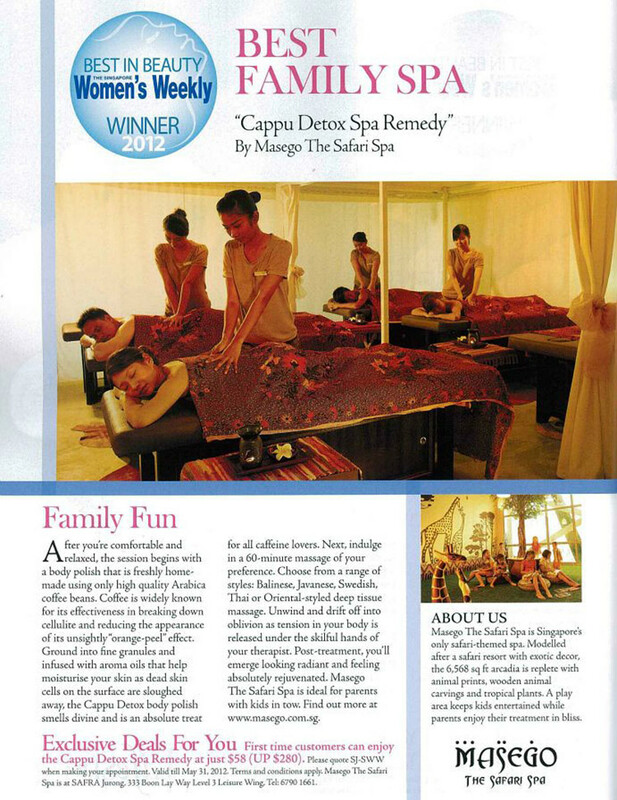 Happy news for the morning – Masego The Safari Spa is awarded the Best Family Spa by The Singapore Women’s Weekly!